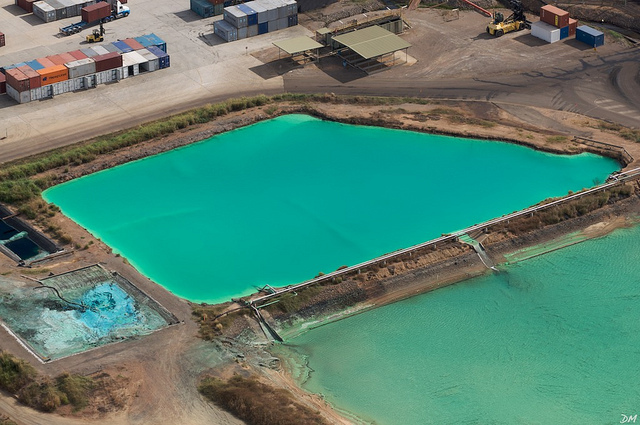 Toxic spilling from Clive Parker’s Yabulu nickel refinery has forced the company to suspend all operations at the plant located near the Great Barrier Reef. According to the article on The Australian, the spill came from the refinery’s tailings dams, which remain full after heavy rain from tropical Cyclone Ita. The incidence prompts Clive Palmer to halt all operations at the plant in order to prevent further spills. The production ban raised serious concerns within the company’s workforce about job security at the Townsville refinery. Earlier this week, Environment Department inspectors went to the refinery to test the contaminants and asses the state of the dams, which hold enormous quantities of hazardous by-products of the nickel and cobalt processing operations. “The officers who inspected the dams are extremely concerned,” State Environment Minister Andrew Powell said. He also added he would oppose any formal request from Mr Palmer, the founder of the Palmer United Party and newly elected federal MP, to channel the tailings into the ocean waters of the Great Barrier Reef, which was declared a World Heritage Area in 1981. Federal Government scientists said that a major discharge from the ponds to the ecosystem in the World Heritage Area was equivalent to “daily discharge of treated sewage from a city of seven million,” referring to high volumes of ammonia and other metals produced by the nickel and cobalt processing operations at the plant. Mr Palmer, who bought the refinery from BHP Billiton in 2009, played down the seriousness of the problem and accused Queensland Premier Campbell Newman of “leaking misinformation” to The Australian. “They have turned up at the ­refinery at the express direction of the minister trying to find something wrong when there is nothing wrong,’’ Mr Palmer said. Experts say it would take weeks or months for the dam levels to drop to acceptable levels, if there is no heavy rainfall or dumping in the marine park in the meantime.